The SSV valve with a SAFOCO Actuator is normally supplied in the fail-closed configuration. Pneumatic actuator supply pressure drives the valves reverse ported gate down and holds it in the open position under normal operating conditions. In the event of an abnormal condition, the actuator supply pressure is released or bled off by quick exhaust mechanisms, allowing the valve to close by body pressure acting on the bonnet stem diameter and spring force. Restoring of Pneumatic Actuator supply pressure automatically reopens the valve. 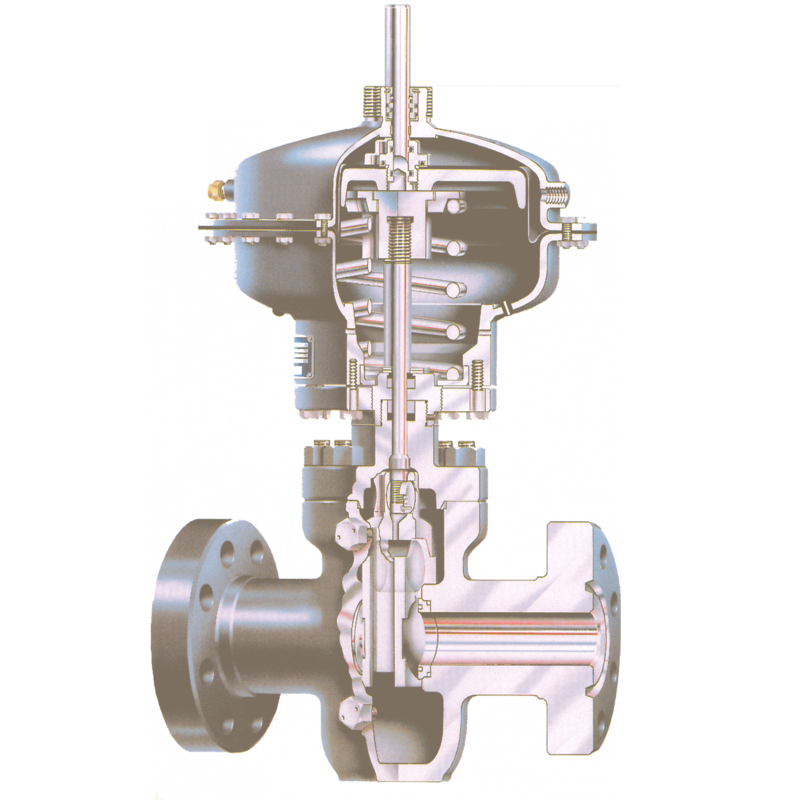 When required, the valve can be configured with a fail open gate design for a vent or blow-down system.